Any place which maintains a loyal following for over 50 years must have something good going for it. 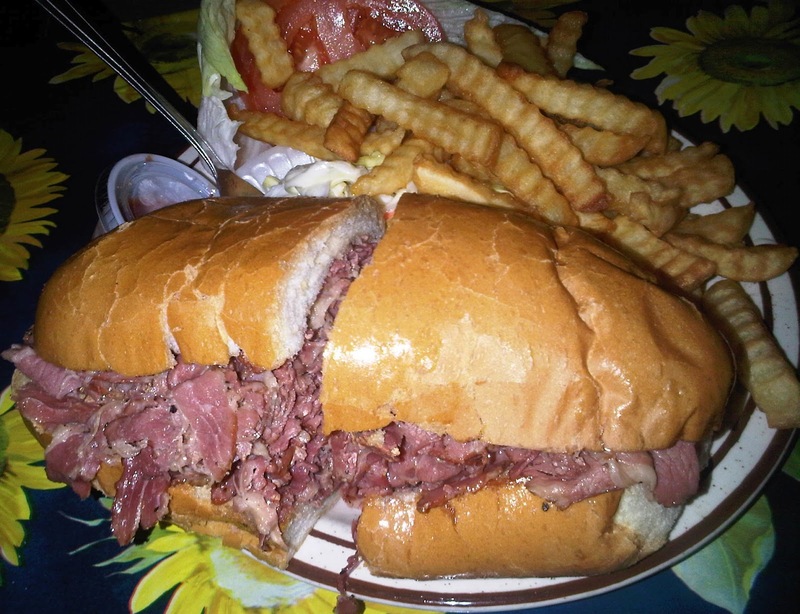 It may be their location, their service, their celebrity, their food, or in the best case scenario all four; Johnnie’s Pastrami is one of those best case scenarios, combining of all of the aforementioned qualities in one place. With easy access off the 405 freeway and on the major alternate street of Sepulveda, their location is probably along one of your drives. The service is wonderfully old fashioned, with friendly and efficient servers, and as I recently found, their food lives up to their reputation. 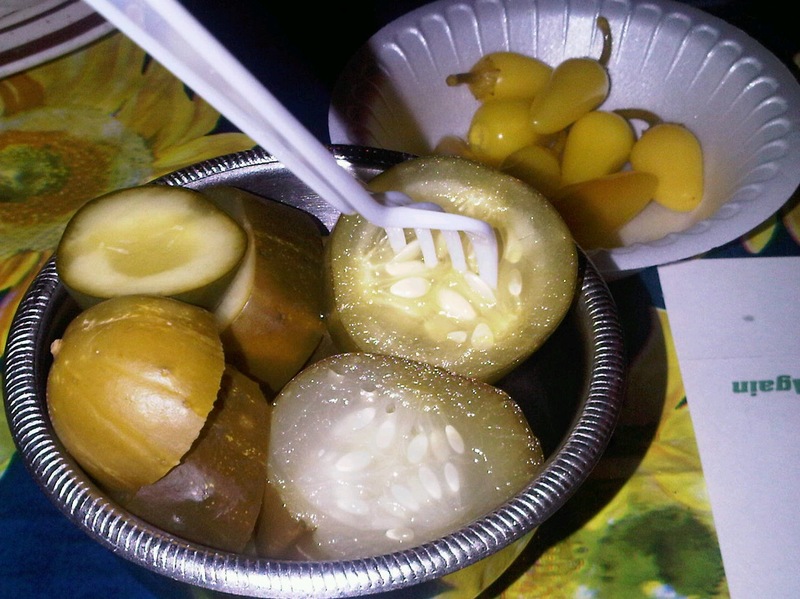 The crunchy Kosher pickles and VERY hot pickled peppers were addictive, and for those who can’t get enough, they sell the pickles to go (in sizes varying from one pound for $5.50 to one gallon for $22)! 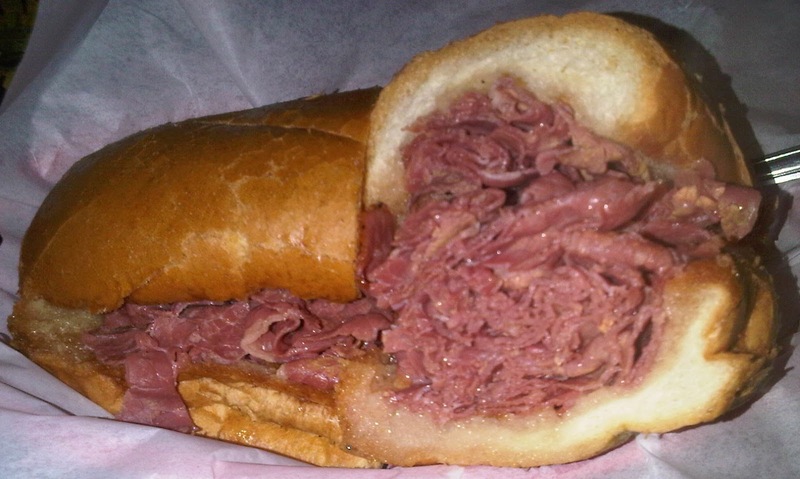 The pastrami comes in just a sandwich or a deluxe platter with fries, coleslaw, lettuce and tomato. My friend chose the platter for $15.50 and took half of her plate home. The fries were excellent, with a crisp exterior and tender center, lightly salted. The French roll was a perfect foil to the pastrami, with enough texture to hold up to the gigantic portion of meat, yet soft enough to yield to the compression you must use to get a bite. The pastrami was some of the best I have tasted in California, lean, perfectly seasoned, and thinly sliced. The only thing I would change would be slightly thicker slices, but that is just a personal preference and I think most people prefer the thinner slices since they add to the ease of eating this sandwich. 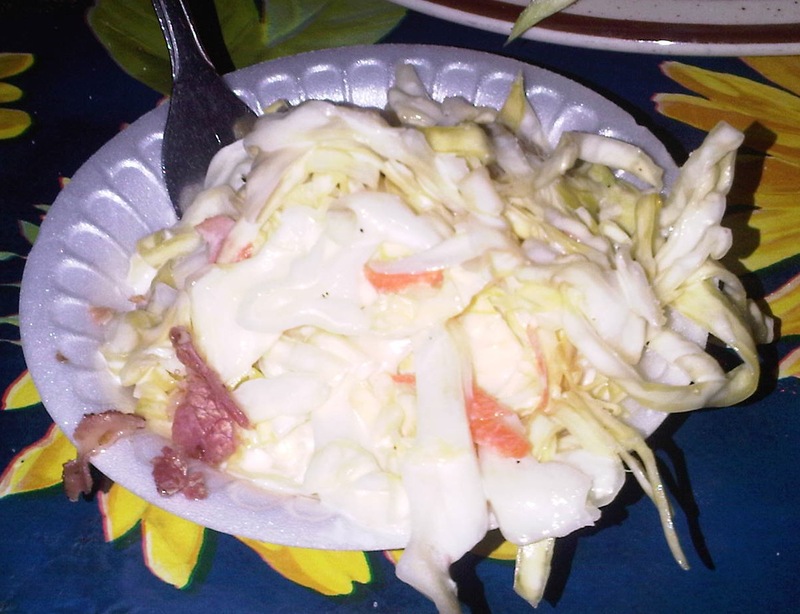 The coleslaw was a fresh vinegary coarsely chopped version with enough bite to refresh between bites of the hearty meat sandwich. I had to try the corned beef sandwich for $10.50, but having been forewarned of the portion sizes, I opted for just the sandwich. Juicy, lean, and thinly sliced, this was a great classic sandwich. The brown mustard on the table added just enough oomph to make this the perfect comfort food for meat lovers. It was so good it was hard to stop, so somehow I finished half of the sandwich, but I can see how a very hungry man or woman (with a huge appetite) would be able to polish off the entire thing. For vegetarians, they have a veggie burger, for kids they have hot dogs, and for burger fiends they have burgers, but if you come here, try the pastrami and corned beef. 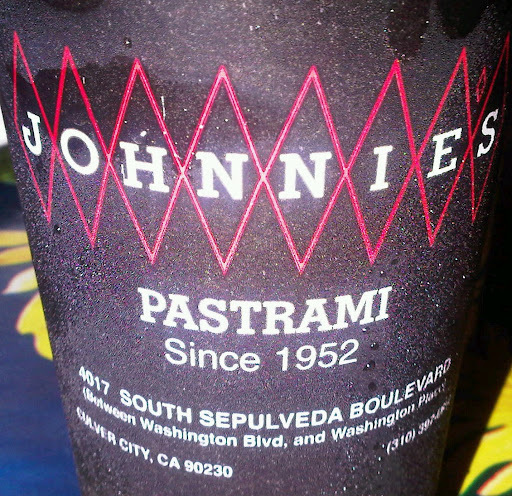 I can give you all the reasons in the world why Johnnie’s has been around since 1952, but once you try their food, your reason will simply be “I want Johnnie’s pastrami”.